Watch an octopus walk out of the water, drop a crab shell at the feet of some humans and amble back again. 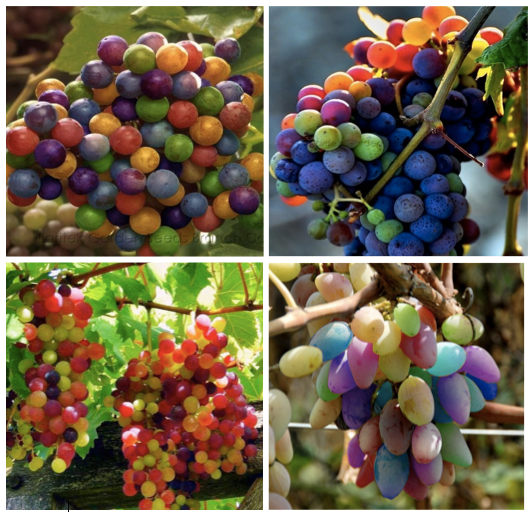 These may look like party balloons but they are actually rainbow grapes. These grapes aren't a rare species, they are created during Véraison (when grapes turn from green to purple as they ripen). Obese people often have weak knees because squatting exerts of a force of up to 10 times one's body mass. 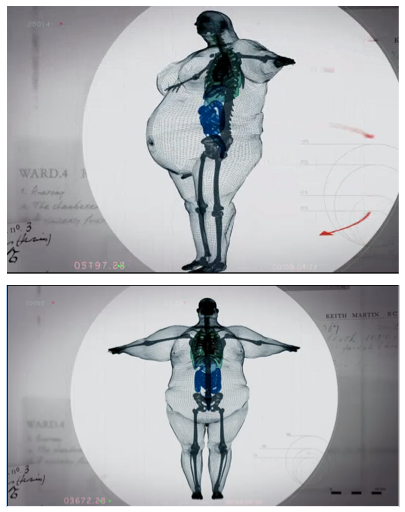 This computer animation of an obese man makes the problem quite transparent. Nature never ceases to amaze. 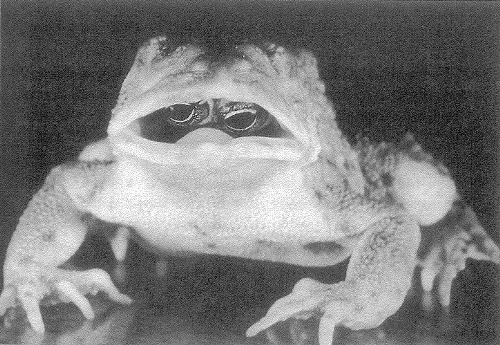 Found in Canada, this toad had a mutation that caused its eyes to grow in the roof of its mouth, which means it had to open its mouth to see. 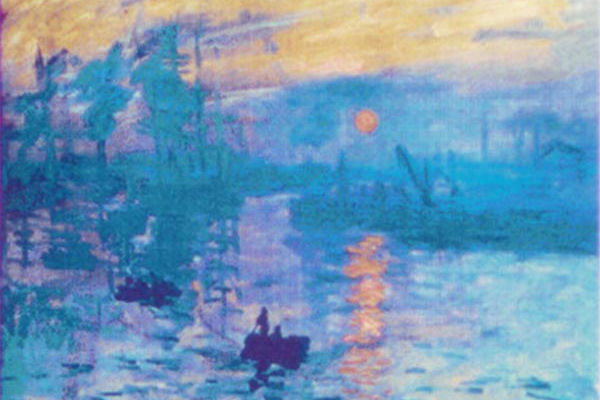 At 300 micrometres wide, this is the most minuscule masterpiece in the world. Made from nanopixels, the researchers who made it are now using the technology to come up with new solutions for data storage. 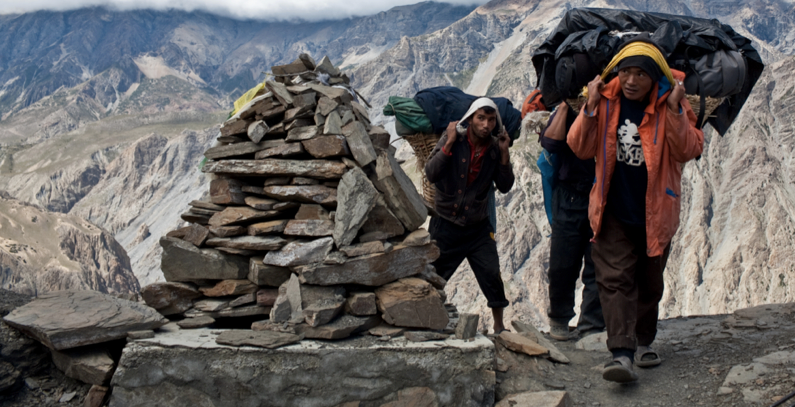 Scientists have discovered that the extraordinary ability for Sherpas and Tibetans to reach 4,000 m without experiencing altitude sickness is due to a gene inherited from Denisovans, a species of humans that went extinct about 40,000 years ago. 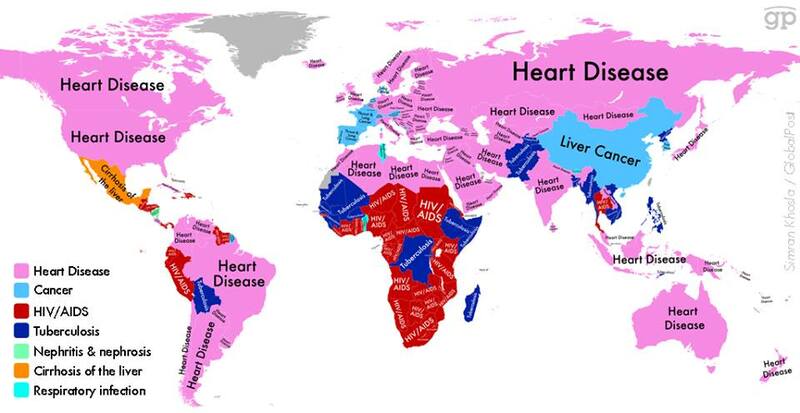 This map shows which disease is most likely to kill you depending on where you live. 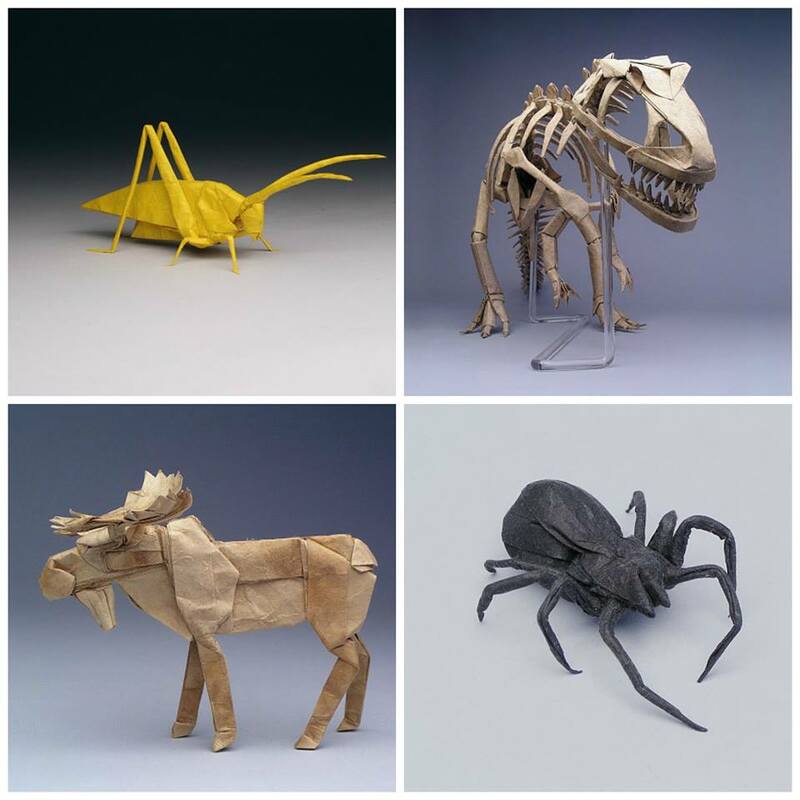 These origami figures were made by a former NASA physicist who combines maths and computing to develop incredible folded paper sculptures. 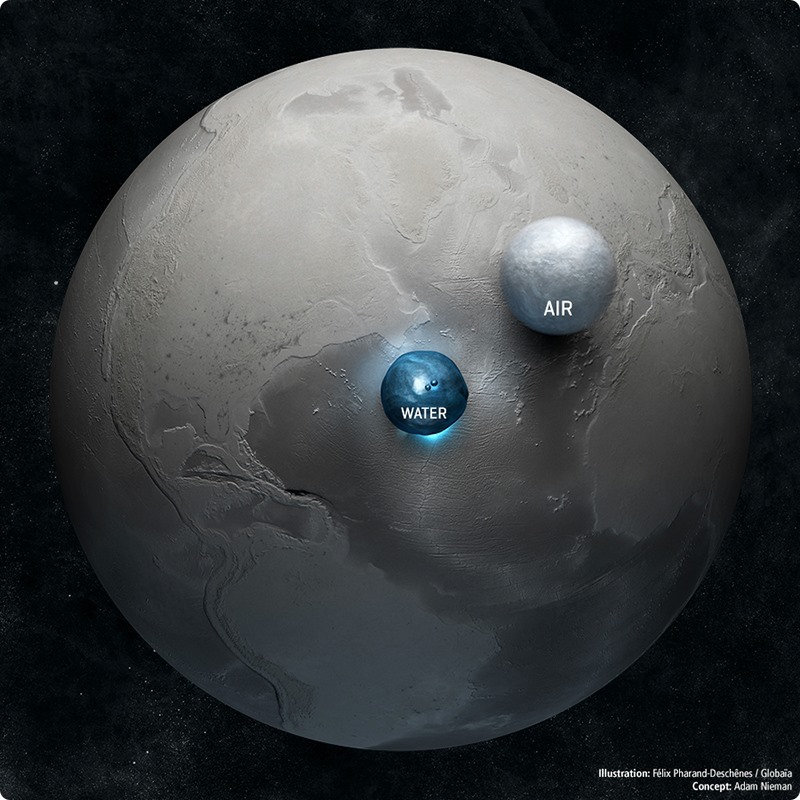 This is all the water on Earth and the air in our atmosphere, to scale. That's 1.4087 billion cubic kilometres of water and 5,140 trillion tonnes of air. Great news! 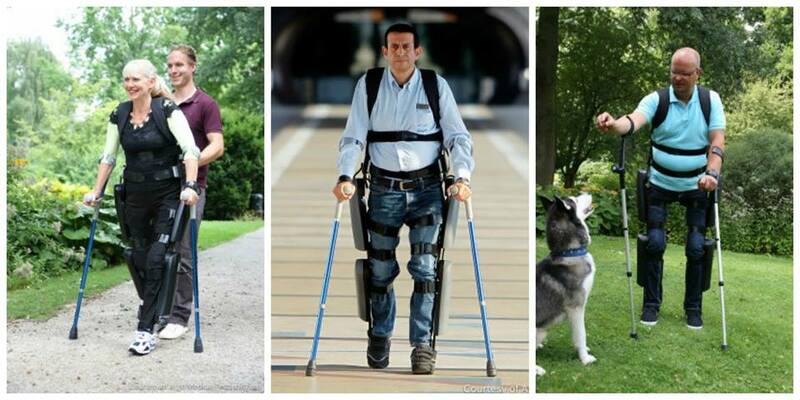 ReWalk, a motorised exoskeleton suit that helps people who are paralysed from the waist down to stand up and walk again, has been approved for personal use. 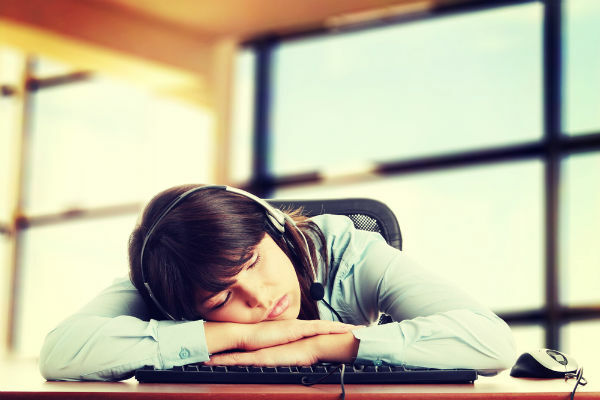 This one is hard to believe, but a new study suggests that if you're learning a new language, you're better off listening to recordings of your lessons while you're asleep rather than while you're awake. This is what all the white matter in your brain looks like. 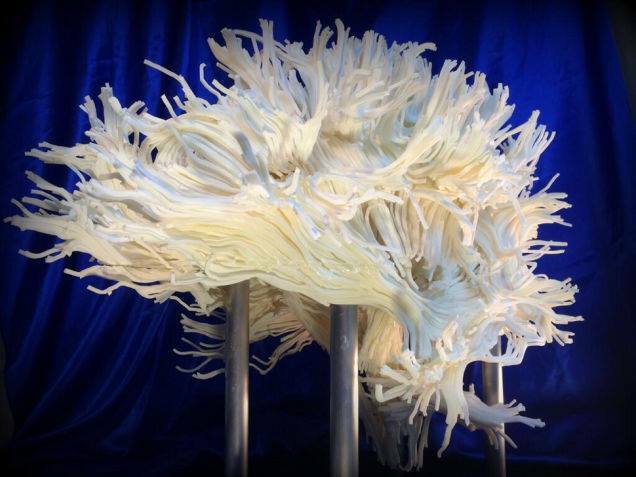 This complex 3D-printed model accurately reflects the 2,000 strands of nerve cells that branch through every human being's brain. 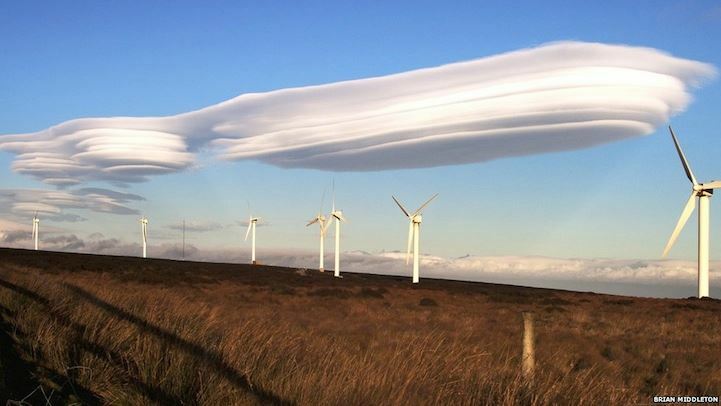 Often found above mountains and hills, lenticular clouds form when a current of moist air is forced upwards as it travels over a huge piece of land, which causes the moisture to condense and turn into cloud particles. 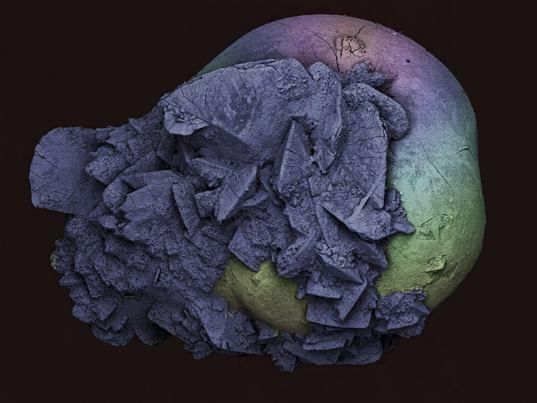 This is a scanning electron micrograph of a kidney stone. These stones are pesky formations of calcium that form in the human body and are considered the most common disorder of the urinary tract.